Click the button below to add the Acne Girl's Facial Clear Soap #Skin Products# to your wish list. Now you can turn that frown upside down and greet everyone to show off that flawless skin with no blemishes or breakouts to worry about. What better way to wake up in the morning and find no trace of unwanted breakouts? Taking control of what you apply on your face and better yet knowing that you can now control those unwanted pimples in the middle of your forehead, is the best feeling in the world! This facial soap contains wholesome ingredients that moisturize, cleanse and refresh the skin while leaving it clear and blemish free. Soft and gentle for daily use. No irritation or dryness left after use. No Benzoyl Peroxide, No Salicylic Acid, No Artificial Fragrance, No Alcohol. Shea Butter comes from the brown seeds found in the fruits of the Karite tree in Africa. It’s known for its moisturizing effect and is rich in Vitamin A, Vitamin E, Vitamin F, and Vitamin K.
Coconut oil fights off bacteria that can cause breakouts and moisturizes the surrounding skin. 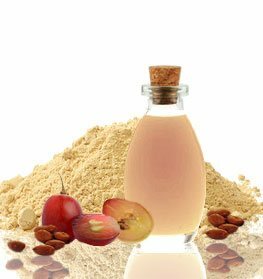 Palm Kernel Oil moisturizes skin, leaving it soft, restores natural oils to the skin and contains Vitamin A and Vitamin E.
Hazelnut Oil hydrates skin without causing irritation and has as Vitamin B and E.
Apply warm water to the face and apply the Girl's Facial Clear Soap where needed. Gently pat your face until damp or dry. 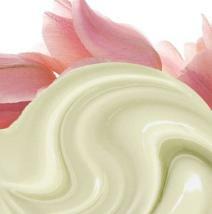 For dry and sensitive skin, use our Clear Facial Day Cream afterwards. • Gently massage the soap into the skin or use a clean, damp cloth to wash impurities away. • Can be used on girls ages 6 to 17. We suggest speaking to your doctor before changing products in your child's skin regimen. My daughter has pimples and this soap has been a god sent help! It’s about time we go back to nature and nutritive products! My daughter’s breakouts has been on-going for about four years. We’ve been to specialists and she’s been on a never ending list of soaps, cleansers, conditioners, and prescription drugs, twice on an accutane program and Retin A. She has been using your soap for a little over a week and this is the most improvement ever!! I hope you intend to market your products everywhere so everyone can experience it’s nutritive curing way. Keep up the great work! I love your products. I got my daughter and myself the clear soaps, creams and toner. I LOVE it! My daughter had horrible horrible pimples and of course we tried what the Dermetologist suggested which was a chemical product. NO NO NO.. your products started working in 2 days. We are seeing improvements each and everyday. I see the difference in her attitude about herself. Thank you. Only God! The hair products are just as good. I wish I could try them all. I will be trying some hair products for my son, daughters and husband. I have already recommended you to a friend. We both were using another product which was not 100% nutritive . Thank you. I am looking forward to more of your products. Thank yoou God! I love this product. I am 16 years old and hated how I looked. I started getting severe breakouts about 2 years ago and have tried every cream, cleanser, and medication to treat this breakouts. Nothing worked for me. I bought this soap along the manuka treatment. I love both of these products so much. I have seen such a difference in my skin. I don't even use makeup anymore like use to. Amazing products! My daughter loves how it lathers and leaves her skin feeling clean and moisturized. We used this with the breakouts oil treatment and we have seen a significant difference in her skin. I do think it has helped with the redness and scarring. My mom has been going natural lately and decided to buy me this, and I'm honestly very glad she did. My skin is rapidly clearing up when in the past, it never responded to anything or just got worse. This product has truly convinced me to go natural as well!